The Tipsy Baker: I keep wanting to type "Tyler Perry"
I detached the keyboard from the computer the other day because Owen hadn’t done his chores and seemed incapable of separating himself from Team Fortress 2. Based on his reaction, Owen would have preferred I detach a few of his toes, maybe even a foot. Guys, the soup (recipe here) was not that bad. It’s a very eatable, even tasty, cream of cauliflower from Tyler’s Ultimate. You make it by simmering cauliflower in milk with thyme, bay leaf, and butter, then blitzing in a blender. Toss some bread crumbs and pine nuts with more butter, toast in the oven, and strew this rich, salty, crunchy topping on the soup. Yum. Tyler's Ultimate does not deserve to be burned. Good cauliflower soup notwithstanding, I did give it to Goodwill. I guess I need to back up. 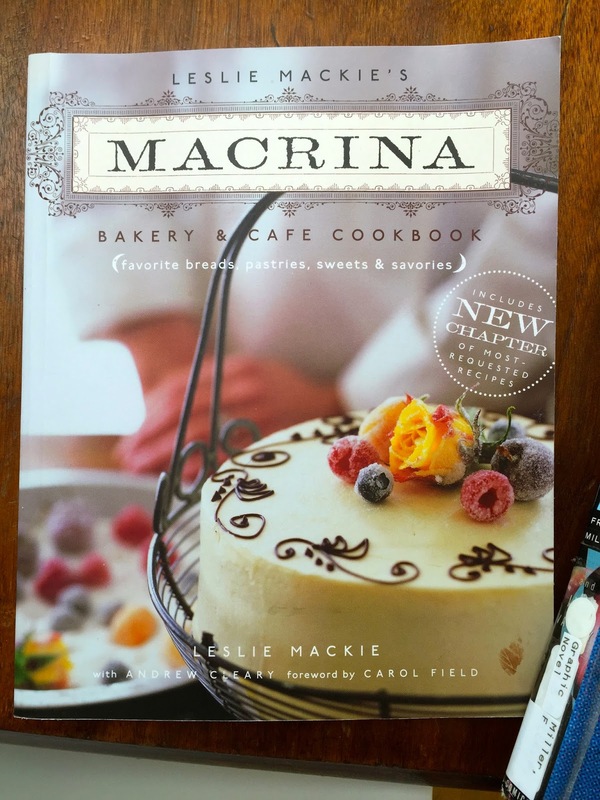 A year or so ago someone left two cookbooks on the free table at the gym: Tyler’s Ultimate and The Macrina Bakery and Cafe Cookbook. Both of them were signed. 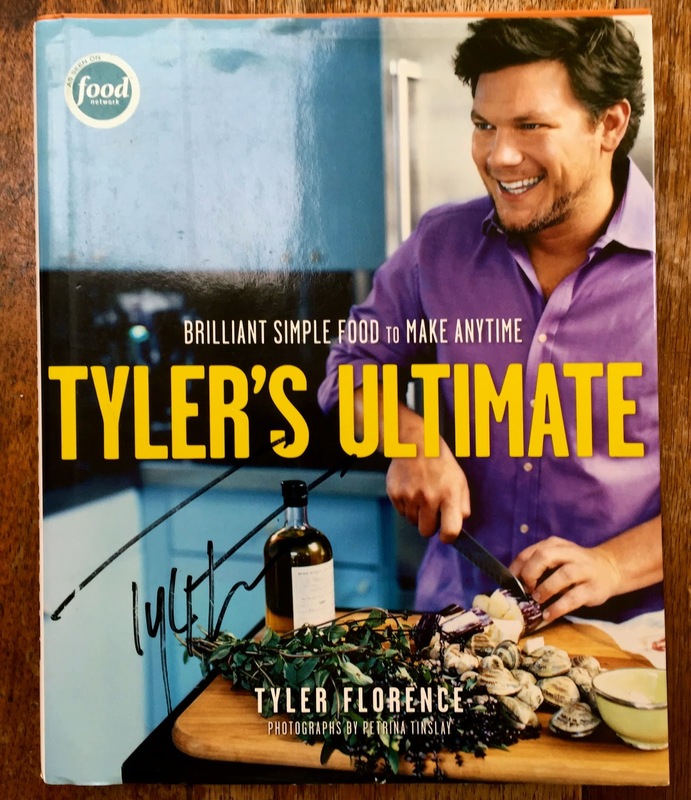 The Tyler Florence book was warmly inscribed to someone who shall remain nameless. I took the books, of course. But did I really want them? My shelves are getting tight again, so recently I decided to cull a few titles. It seemed logical to start by evaluating books I never actually chose. I decided I had to try one recipe (the soup) but other than that I didn’t see much I liked in Tyler’s Ultimate. If you love Tyler Florence, speak now and I will listen respectfully. I didn’t delve deeply and could well be wrong. But the recipes appeared standard, the pictures almost grotesquely huge, the overall feel, flashy, showy, not my thing. Tyler's Really Good -- now there's a title! You know, because I’m really subtle and modest and elegant. I think that is supposed to be a slice of toast. No color whatsoever. You flip through this book and feel like you’re in a shabby apartment, late afternoon, with the blinds drawn. You can’t find a light switch. Still, lots of intriguing recipes. And I do love to bake. First, I tried the rustic potato loaf ("Macrina's most sought-after loaf") and it was perfect. You boil potatoes in their jackets, mash, work them into a dough and bake into a lovely dense bread. I ate a piece of this every day last week for breakfast. I’d make it again in a heartbeat. Recipe here. A few days later, I baked the Guatemalan hot chocolate bread. Really unusual. The flavor is that of chocolate cake, the texture that of yeasty bread. Big chunks of chocolate throughout. We ate roughly half the loaf before the novelty wore off. I wouldn’t make it again, but it was an interesting experiment. Friday, I made the Macrina chocolate chip cookies with dried apricots. Jennifer: Did you try those cookies? Mark, frowning: Yeah, I did. What kind were they? Jennifer: Chocolate chip with dried apricots. Mark: AHA!!!! I knew it!! I tasted one and spit it out. It was like there was a worm in there. Jennifer: You did not spit it out. 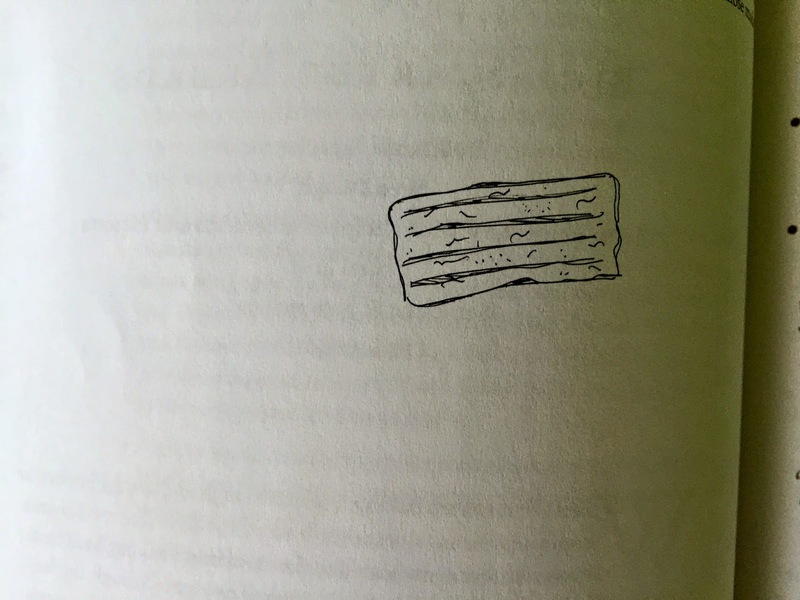 Mark: When you’re expecting a regular chocolate chip cookie, you don’t want to bite into something gross. Jennifer: Dried apricots aren’t gross. Mark: I will not be having another one of those cookies. Mark: Don’t tease me like that. It’s like me expecting you to go to the basketball game with me. I live with crazy people. The cookies (recipe here) are delicious. -condensed milk ice cream from Smashing Plates with 1 teaspoon of orange flower water added. Needs a new name, this ice cream. Otherwise delicious. If you have the book, you will not be disappointed by the ice cream. -This Bon Appetit lamb and lentil dish which I liked, Mark deemed “flavorless,” and Owen said was “too spicy.” Can a dish be both flavorless and too spicy? 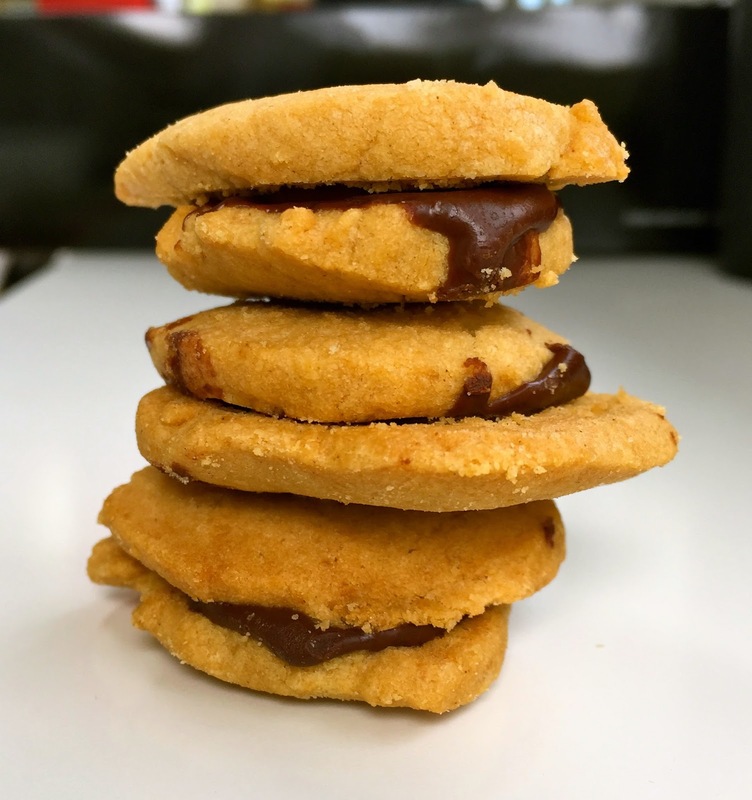 -The delectable little peanut butter chocolate sandwich cookies from the Smitten Kitchen cookbook. Recommend. I'm guessing they loved the Smitten Kitchen cookies? What else are you culling? I'm sending Smashing Plates back and I'm thinking about doing the same with Fancy Desserts. I enjoyed reading it but I doubt I'll make anything from it. Oh yeah, the Smitten Kitchen cookies were a big hit. I made dinner from Smashing Plates last night and it was very, very good, but I'm not sure this is a shelf essential. Fancy Desserts is not one I will cook from. I took it back to the library and won't buy. Those Macrina "illustrations" are lame lame lame. Do you own any Mollie Katzen cookbooks? When my girls were very little I cooked exclusively vegetarian food for a few years (I ate meat in restaurants or at other people's houses. I no longer remember why I did this. I do remember that one year my grandma insisted I keep the leftover Christmas ham bone, insisting it made a great addition to bean soup, so I rolled my eyes and humored her by throwing it into a pot of Katzen's otherwise vegetarian split pea soup, and it was ten times as delicious as the vegetarian soup. That was the end of my vegetarian phase.) 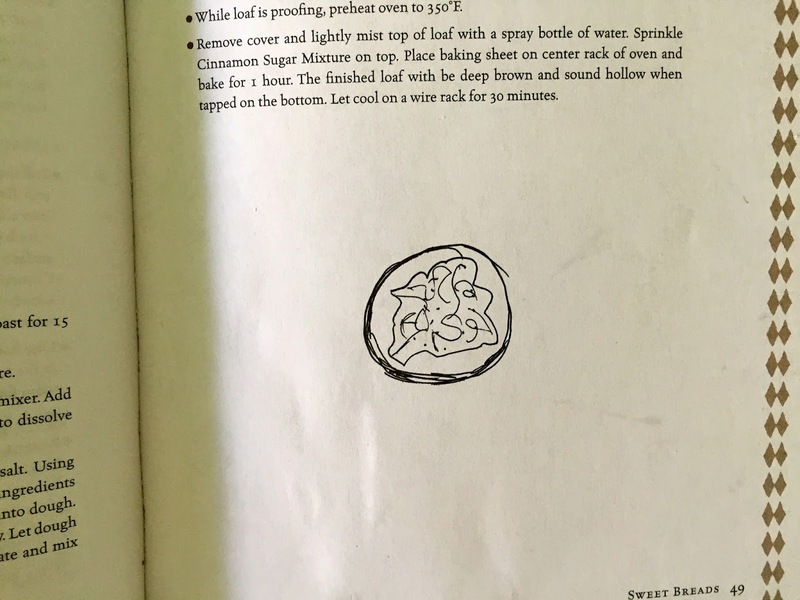 Anyway, her illustrations in The Moosewood Cookbook and The Enchanted Broccoli Forest were similarly hand drawn pen-and-ink doodles, but hers were pretty and charming, oozing hippiedom. Macrina, not so much. Lame. Those Macrina illustrations are really funny. The author did them. They're about my level of artistry. Of course I have all the MK books! Didn't we all go through a vegetarian phase? I remember making Greens soups on a weekly basis when Isabel was young. So much chopping. Also, I'm glad you're culling the herd of your cookbooks. I've been doing the same thing, after reading that Japanese tidying book. I'm not done, but I feel like the approach in that book works for me as more of an ongoing philosophy rather than a once-in-a-lifetime purge. There are cookbooks I once loved and now never refer to. Molly Katzen, for example! But there was a recipe for Russian Coffeecake that I loved. It had chocolate and dried apricots, like your recent cookies! And almonds and coconut and apricot jam. Anyway, I am sorry Mark didn't like the cookies, but I will sympathize with him insofar as I think a chocolate chunk cookie is a perfect thing and objectively the best cookie, so I can understand his upset at being fooled by a fruity imposter. I'm doing the decluttering as well, though I took a pause after the big clothes purge. There are a lot of cookbooks I could part with. I'm looking forward to figuring out what they are. Do not take Mark's side! You cannot be the worst mother in the world. My children will tell you that that particular trophy has already been awarded to me. I guess I am getting Smitten Kitchen. I don't know why I have been resisting it. 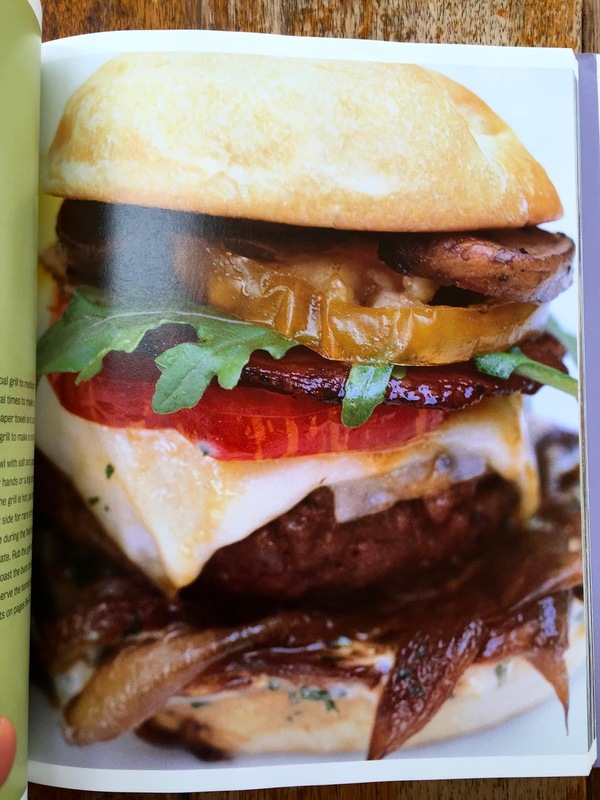 Oh, it's a good cookbook, Smitten Kitchen. This morning Owen was searching the house for his clothes, which had been washed over the weekend. He could not find them anywhere! Where they were was in his drawers. folded and placed there by his father. Owen then got upset because he expects to find them strewn all over the floor of his room. Worst parents in the world. Strangely, I also made a Tyler Florence recipe last week. I used his steamed artichoke recipe (found on Food Network) to cook artichokes that were going on the grill later in the evening. The steaming liquid contained bay leaves and white wine in addition to the usual suspects. They were a nice touch but it didn't make me want to run out and investigate any of his cookbooks. Sometimes I wonder if there is only one team of recipe developers for all of the Food Network people. I've been cooking from the new Marcus Samuelsson cookbook over the past few weeks and I like it tremendously. It's bright and upbeat and fun to cook from. Also, he has a recipe for Princess Cake that I will be attempting this week. I purchased the Smashing Plates book and I'm eager for Spring Break to arrive so that I can experiment from it between college trips. The Sweet Plates section is so interesting to me! I also live with crazy people. You are not alone. I didn't know of the new Marcus Samuelsson cookbook -- I'll check it out. Princess Cake is also on my list -- my favorite. Where are you going on your college trips? First we go to Madison, then across to Ann Arbor. Later on in the week, an all-day at Purdue. Finally, we have a Saturday thing at Southern Illinois-Carbondale. He wants to investigate Division I schools that he won't get recruitment trips from. He could easily swim for SIU, but is convinced it is a "crap" school. However, I used to take the train down from Chicago to visit a close friend and I know he'd love the atmosphere. At any rate, it's a chance to hike around Garden of the Gods in the Shawnee Forest (if the weather cooperates). Later on in the month, he'll get out of school for IU and Univ Illinois Urbana-Champaign. IU doesn't have a school of engineering, so it looks bleak. Much to my chagrin. Later on in the summer, we have Virginia Tech and NC State during a family reunion back East. I'm looking forward to the trips knowing I'll be able to spend time with him, rare these days. Was I that busy as a junior? Maybe we'll run into you in Madison. Mid-April? Sadly, no. We are scheduled for April 7th. I don't know if you will have any free time for a day trip, but House on the Rock is a very surreal experience less than an hour to the west of Madison. Since we'll probably be driving from Minneapolis, that might be on our way. Hi Tipsy I just chime in to tell you that I tell myself to stay away from the internet(most times) for one week hoping that then there's a new article from you...if you're are still interested since your chicken-phase has probably come to an end...I'm going to tell you and your readers I had the funniest thing w/ one of my chicks yet (the one that was so sick she was almostt dien last month). She caught (or did it jump in her mouth in suicidal intents?) a frog two days ago and came to me holding one frog's leg in her mouth , face like asking "what am i to do with this thing that somehow ended up in here?" Well, I rescued the frog andd send her away with a salad leaf (my chicks love them) but htis is to remind you how funny chickens can be....anyway since i don't get many english/american cookbooks in the library here in germany i value your recommendations even more since i don't have to buy books that aren't really worth it. thanks for that! I think I would panic if I saw a hen come in with a single frog's leg. One of our hens escaped from the coop today, the bobcat came looking for lunch, and we found our little brown hen on the telephone wire hanging over the middle of the street with the bobcat crouched in the shrubbery, waiting. Eventually the bobcat departed, the chicken flew down, all is well. Who says chickens are stupid? I have had "Cajun" food that was both flavorless and too spicy. Ok, you win. You are right. I've had spicy flavorless food, too. Well, I wouldn't normally agree with the things your husband finds unpalatable, but I would not want to find dried apricots in my chocolate chip cookie either! Tipsy, thank you for these recipes. Especially the "rustic potato loaf". I love to bake bread. Also, really good chocolate chips (I'd use milk chocolate) coupled with organic apricots sounds exquisite. I plan to make both of these. 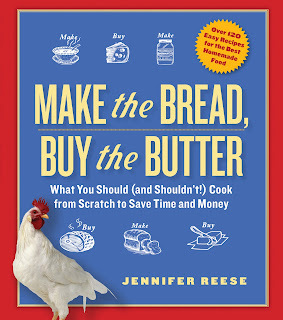 And, I don't have her cookbook, but I do read her blog and look to it just about every time I bake cookies. She has some exceptional recipes. I recommend highly "brownie roll-out cookies.". They would also make a great sandwich cookie. The potato bread is great. If you make it, tell me what you think. Anonymous #1 again. Have you noticed that there is a new cookbook hovering in the wings titled Genius Recipes from Food52? I want it sight unseen. I looked just now on amazon. April 7? Maybe I'll see if I can reserve at the library. I have really liked how that worked out during my Piglet stalking. You get to try before committing. I'm not sure about any of Tyler Florence's cookbooks, but my mother and I have separately made his Ultimate chicken & dumplings recipe from the show and it was fabulous. I mean, it's not a hard dish to make to begin with, but the sauce was downright tasty. Of course, it was completely unhealthy, rich with cream and butter but it was perfect thick and stew-y, not brothy like a lot of chicken & dumpling recipes are. We made a couple of tweaks after reading the reviews, but it happened to be Tyler Florence, and it happened to be outstanding. I think we used to make his chocolate pudding when my son was younger. So, I guess my limited experience with TF is solid, but not innovative?